March was indeed a very busy month for us. It started out pretty frozen and wet, warmed up to the eighties, then back to freezing again. I guess Spring just couldn’t make up it’s mind if it wanted to stay or not, as winter kept making a few last appearances. 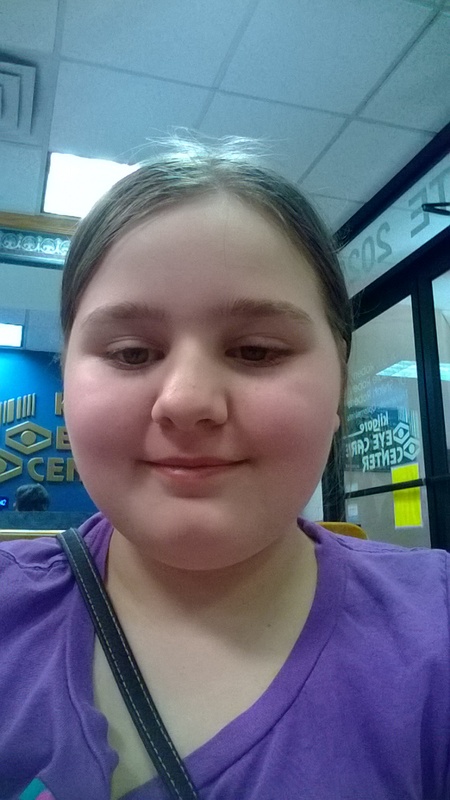 My brave little girl at the Eye Dr waiting to get her eye looked at. A couple Tuesdays a month one of the local homeschool groups meet at one of the local parks so the kids can play. On one of the playdays the wind was blowing pretty hard, it was one of the really nice weather days. Stormy came to me after a while complaining of her eye hurting. When I looked she had something stuck in her eyeball! Oh my! That is not something to be played around with. We tried to flush her eye, tried to tear it out, but it was not budging! So we had to call the eye Dr and take her in for an emergency visit. Poor thing was very scared, especially when the Eye Dr pulled out the sharp silver tool and said he needed to touch her eyeball with it! Oh my! But what a brave girl she was. She was applying her Young Living Peace & Calming essential oil from the moment we learned we would have to visit the eye doctor from her own oil kit she carried with her. We were also applying Young Living Lavender Essential Oil around the orbit of the eye to help with the irritation. Stormy’s own oil kit that she keeps with her at all times! It’s compact and just the right size to carry on her little purse! The next weekend Stormy got to spend the weekend with Grandma, Sugar got to go play and make new friends at the Doggie Hotel, (If you are in East Texas I recommend Lonestar Boarding Kennels, they are so wonderful with your four-legged children!) and mama headed to Birmingham, AL! Young Living held a “Discovering Nature’s Remedies” class there and I had planned on going for months. So I rented a car and packed my oils and off I went! It took about 9 hours from where I live currently to get there, and the trip there was oh so painful! I guess the stress of the trip also caused a shingles outbreak to start on my face and back. What joy :/ I stopped frequently and would reapply my oils and take Copaiba, Balsam Fir, and Frankincense in a capsule to help with the pain. I was NOT going to be deterred! I finally made it late Friday night and settled in to the hotel. Saturday I made my way to downtown Birmingham to the hotel where the class was being held. We will have to make a trip back to Birmingham sometime to actually visit. They even had a Castle downtown! The class was awesome. Dr Scott Johnson and Dr Dan Purser presented the days training. It was a great day. As they spoke about an issue they presented the oil or supplement that has been formulated to help, then that oil got passed around to all audience members to experience. 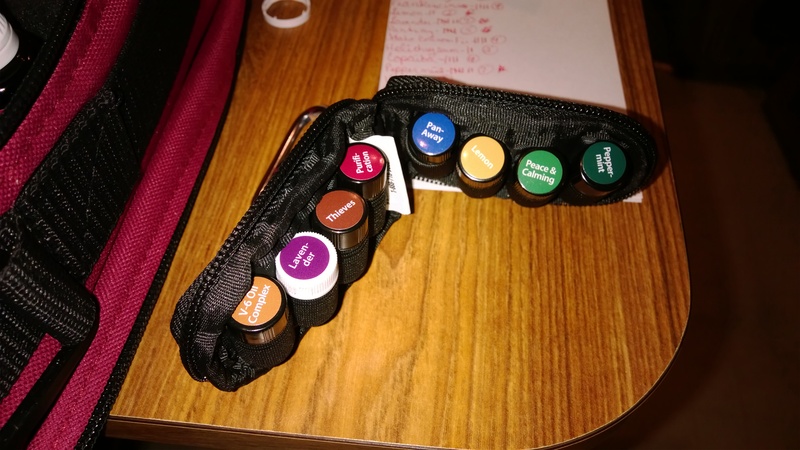 I was still hurting pretty bad, between my back and shingles, and between smelling and applying everything being passed around I was applying and ingesting my own oils. It was a really great day. I learned so much and was well worth the trip. When I woke up Sunday morning to get ready to head home, I noticed something! My excruciating pain was gone!!! I was still a little tight and sore in my lower back and hips, but the intense pain from my back and the shingles was GONE! Holy Cow!!! My trip back to East Texas was a breeze! And I have not had any intense, excruciating pain since! 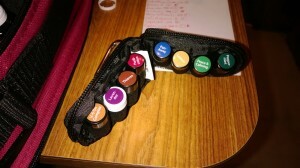 I continue to use my oils as needed and have not had to use any OTC products at all! It is awesome! This entry was posted in Blog and tagged Alabama, Birmingham, Young Living. Bookmark the permalink.